If I had to start and run a business based solely on the contents of only ten books, which books would I pick? Here ya go! 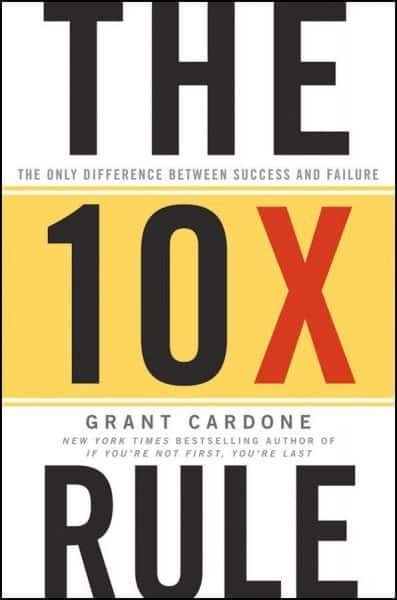 Hands down my favorite business book of all time is The 10X Rule by Grant Cardone. This book is so important that I gave a copy of it to my entire staff. I have personally read it six times and have gotten more out of it each time I read it. This book does not get involved in the mechanics of running a successful business as much as it points out the correct viewpoint to achieve that success. 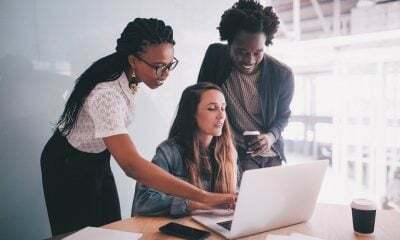 Most entrepreneurs markedly underestimate the amount of effort that goes into achieving success and also underestimate what success actually means. Many set their goals far too low, therefore they fail right out of the gate. 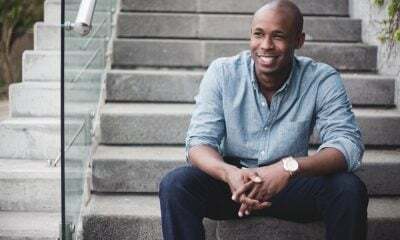 By teaching us how to set goals far greater than we ever believed we had to, and by backing those new goals up with the correct estimation of effort, Grant takes our abilities into the stratosphere. This is not your grandfather’s business book. 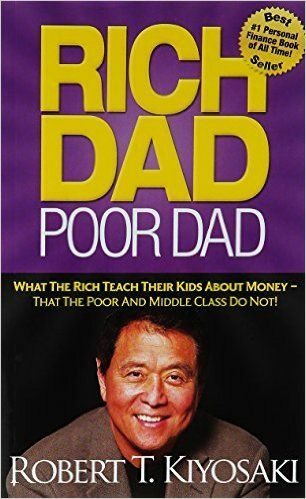 My second favorite book is Rich Dad Poor Dad by Robert Kyosaki. 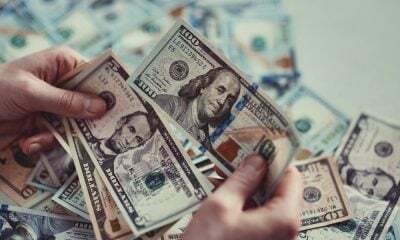 It helps you to understand how to create wealth for yourself without falling into the trap of the middle class. This book clarifies the difference between an asset and a liability. For example, prior to this book’s writing many people believed that their home was an asset, when it was in fact a liability. Robert clarified the difference between the two, by pointing out that an asset paid you and a liability was something that you paid. The mortgage on your home was a liability to you because you had to go to work each day to pay its monthly nut. It was an asset to the bank because they got paid each month without having to raise a finger. As simple a concept as this may sound, at the time of its writing it was revolutionary. 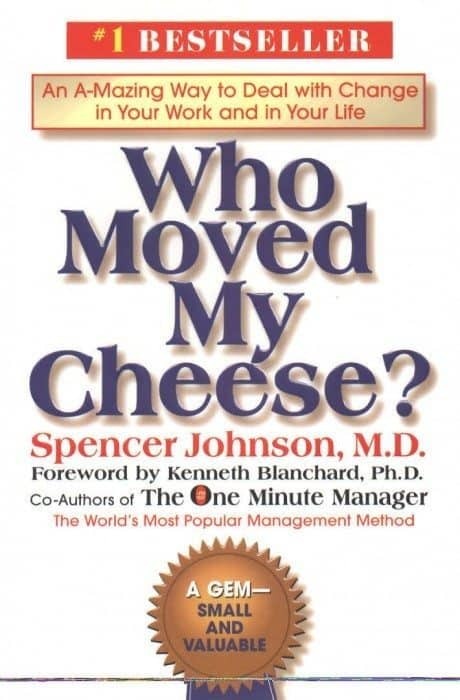 As the author, my third favorite book, although a little self-serving, is based on a life’s work in business. 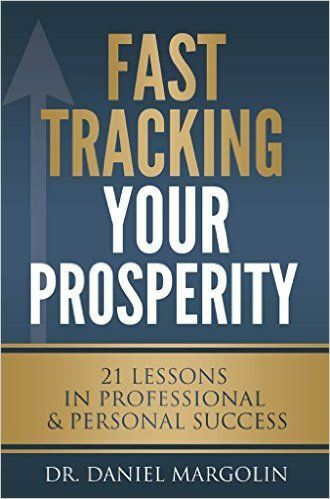 Fast Tracking Your Prosperity: 21 Lessons in Professional & Personal Success was originally written as a list of things I wanted my daughter to understand about business and life as she grew older. It is filled with advice you wish your parents had given you before launching into the business jungle. It is essentially a study of those things that the successful know that the unsuccessful do not. 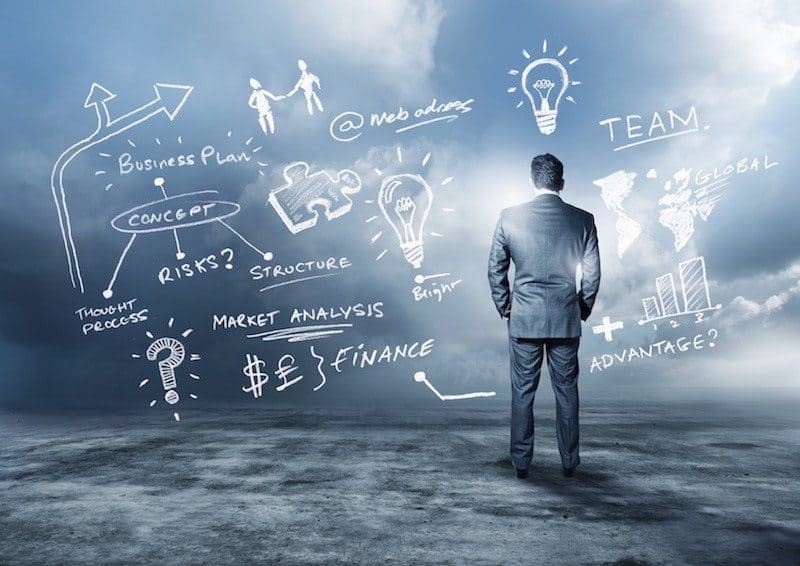 A blueprint for side-stepping those hidden traps that trap unsuspecting entrepreneurs, before the poor bastards even have a chance. 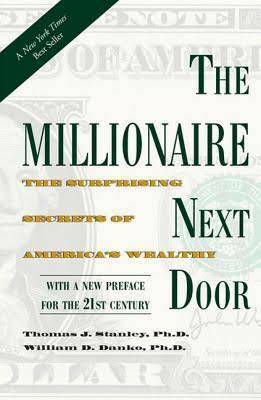 This book surprisingly finds that most of the millionaires in the 70’s, 80’s and 90’s were hard-working first generation Americans that saved their way to prosperity. It is a great book from a historical perspective as the current de-valuation of the dollar does not favor savors as much as investors. A current reading of this book serves as a compass of how far we have come as a nation. Pointed out in his book is that although first generation immigrants worked hard to create a better life for their children, often these children did not have this same work ethic instilled in them. In fact, many of the second and third generation squandered away the family wealth, embracing a more entitled viewpoint. Stanley’s work should be read not only as a lesson in accumulating riches, but also a study of how to prevent the raising of a generation of the entitled. 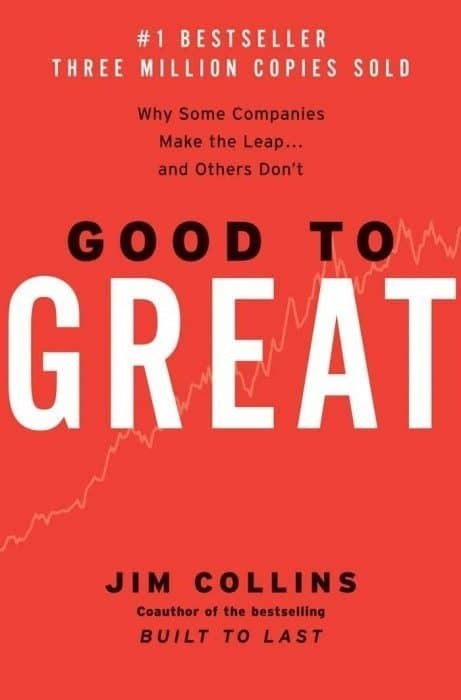 Jim studied the factors that separated those companies that were good from those that were great. The book is brilliant in cutting right into the core of what separates those that would be king from those that already were. It places a laser focused perspective on the importance of hiring the correct staff for the correct post. Great companies put a greater emphasis on hiring the most competent, then worrying about what they would do with those individuals. It seems that more important than worrying about where the bus was going, was worrying about who was being brought on the bus. Correctly filled, the bus would competently steer itself. This book changed my own perspective on the true importance of the hiring process. This book really gives a fresh perspective on time versus productivity. It teaches you how to streamline your operations and rearrange your life so you get paid for your results, not for your time. 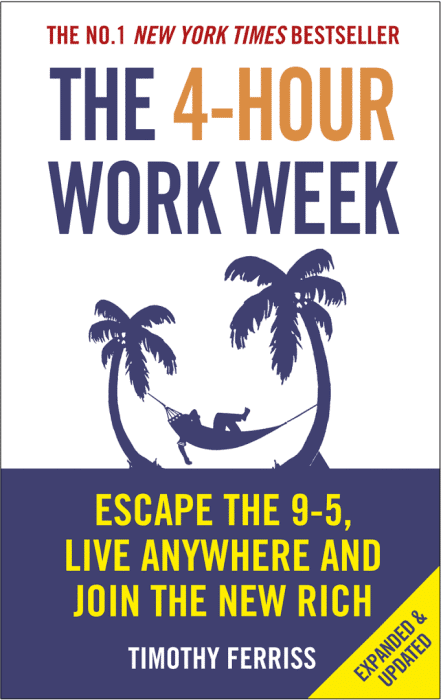 Although I am not completely convinced that everyone reading this book will become successful working only four hours per week, I definitely think it will have you re-evaluating your time management priorities. 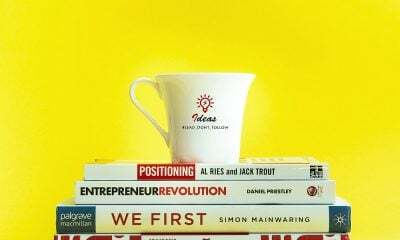 This book is revitalizing to all of those would-be entrepreneurs feeling held down by endless nonproductive meetings and shackled to the time clock. Although this book is written almost as if a child’s fable, it packs a punch that would make Aespo proud. A quick read that drives home the point of embracing and not fighting change. The winner is the one that plans for change, reacts quickly to it and can deal with it as a gift and not a curse. This book is perfect for understanding the different types of personalities that make up one’s environment. It directs you into the correct mindset and planning for future expansion. It’s underlying theme is one of using your resources to create other resources. When reading this book you have a deeper understanding of the core elements of what separates the successful from the fool hearty. 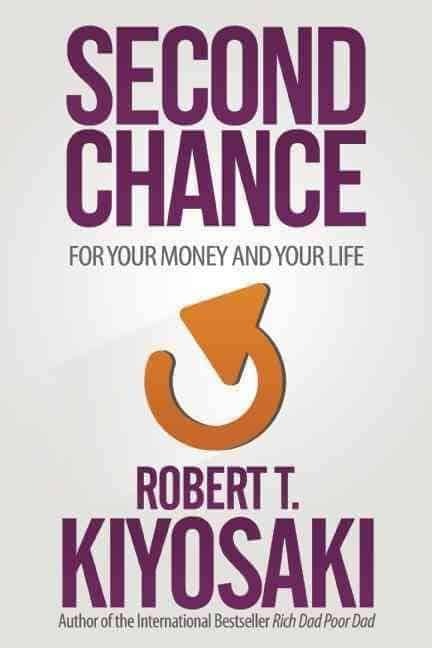 It is his latest book and if you have followed Robert’s career you can see how his thought process on money and our current economic environment have evolved. It really is a warning about the current state of our economy and how to protect oneself from what he believes to be the worst economic outlook in the history of this great country. Although some may see this book as overly pessimistic, others will recognize that an ounce of prevention is worth a pound of cure. For those of you that have read one of the many renditions of The Art of War this is for you. 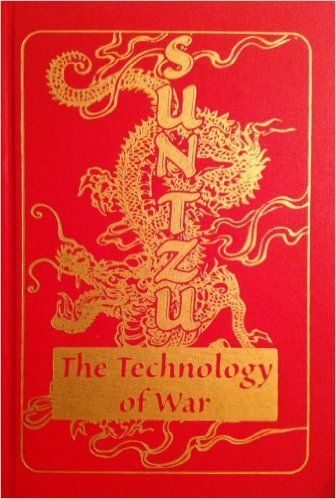 Over the many centuries the original works of Sun Tzu have been subjected to misinterpretation and poor translation. It is in this light that author Collin Thorpe decided to go back to the original transcripts and do an exact replication. The story of how Collin (a personal friend) spent ten years researching the transcripts and learning the language so that Sun Tsu’s exact words would be given to us could be a book in itself. This exact translation is so far removed from previous writings that you should throw every other copy of The Art of War in the trash. 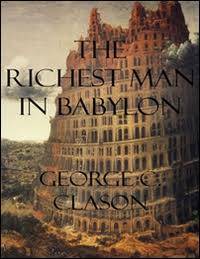 This book is a must read and might even be considered for my number one choice, save for the fact that it might be considered a little more esoteric then that which might be more commonly read.